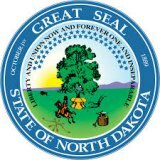 Heads up to chiropractors in North Dakota that get in trouble with their regulatory board – the chiropractic board officially uses the American Chiropractic Association’s (ACA) Code of Ethics as the code of ethical conduct governing the practice of chiropractic in the state of North Dakota. Making matters worse for practicing chiropractors who may be brought before the board to be judged on their conduct, the majority of the board are card carrying ACA members according to the ACA’s website. The American Chiropractic Association (ACA) recently launched a campaign to "re-brand" the trade organization that includes a new pledge, new logo and new tagline. One example of the new standards being promulgated by the ACA are its x-ray guidelines. The ACA released a list of five tests it states are commonly ordered but not always necessary in chiropractic care. The recommendation includes the admonition to not take spinal x-rays in acute low back pain patients unless there are so called Red Flags and to never take repeat x-rays to monitor progress. Teaming up with ABIM Foundation and Consumer Reports, the ACA’s President David Herd DC referred to these as “unneeded or overused services” and that following these recommendations would yield the “best possible care”. "As an ACA chiropractor, I pledge to make Accountability to my patients and the public a priority by adhering to treatment standards and best practices adopted by the association and by focusing on patient outcomes." The ACA’s standards have been in the news lately as chiropractors have become aware that the ACA may be exerting its influence by seeding chiropractic school boards and state boards with its members in an effort to shape the practice of chiropractic and move the profession kicking and screaming into their model. One that includes prescription drugs and the marginalization of chiropractors who manage subluxation. Chiropractors who practice in a subluxation model and take x-rays in order to help their patients are barred from doing so by the ACA’s standards. It seems like common sense that regulatory boards would be overstepping their authority to adopt standards promulgated by one trade association and then hold all chiropractors to that standard - however common sense does not always come into play when it comes to active market players who control a regulatory board. Chiropractors should know that the United States Supreme Court (North Carolina State Board of Dental Examiners v. FTC) has put regulatory board members and Attorneys General on notice that this kind of behavior is not acceptable and that the board and its individual members may be putting themselves in jeopardy when they act on issues in such a way that it inures to their own benefit. Some states, such as Colorado, have clear rules prohibiting the adoption of any code of ethics of any professional group or association. And there are currently several states such as Florida, Texas, and Colorado where chiropractors have raised concerns about their Board’s behavior. In this case the benefit is also to one trade organization doing business within the chiropractic profession. The Board features the ACA's Code of Ethics on its public facing website which suggests to the public that if one is not practicing by the ACA's standards then the chiropractor is unethical. Websites for regulatory boards are presumably the property of the state. So having the ACA's Code of Ethics prominently displayed on a website of a regulatory board is a serious concern and raises many restraint of trade issues. Chiropractors in North Dakota who are brought before the board or end up in a malpractice suit are advised to make sure their attorney is aware of these legal issues in defending their cases. Chiropractors who have had disciplinary action brought against them since the adoption of the ACA's Code of Ethics are also encouraged to contact their attorneys to determine if they were a factor in their discipline.